COMICSREFUELED: Robert, you have been on the title for a while; do you feel like you have a control/handle of the series since Geoff John’s departure? ROBERT: The Green Lantern mythology is probably one of the most sprawling in all of comics. It’s the entire Universe, you know? But over the past year, I do feel I’ve grown comfortable with the characters and concepts. It’s a challenge to stay on top of it all, but the challenges are what I enjoy most about writing. COMICSREFUELED: You have been building on plans to show Hal’s lack of leadership skills but have bounced him back since then. What will the “Uprising” story line show us about Hal? ROBERT: Conflict drives story, so from the beginning I’ve focused on putting Hal up against conflicts he hasn’t encountered before and that in many ways go against who he is as a character. He’s always been more of a maverick, so putting him in a position of formal leadership goes against his nature. He has had to learn and adjust, though, and “Uprising” is the culmination of that. It’s the moment when he either rises as a leader, or allows the universe to fall. COMICSREFUELED: This war has effected lots of planets, will earth be involve in anyway or feel the consequences? ROBERT: Earth has a lot of its own problems coming down the line, and some of them will definitely involve the Lantern titles. For “Uprising,” though, the war is primarily outside Sector 2814. The universe is a big place, and the Green Lantern Corps has been focused on just one piece of it for too long. That’s one of the things that led them to their current predicament. COMICSREFUELED: Hal has built a council with Kilowog, Salaak, and my (Chris) new favorite Two-Six. How integral is their role in the future of the series? 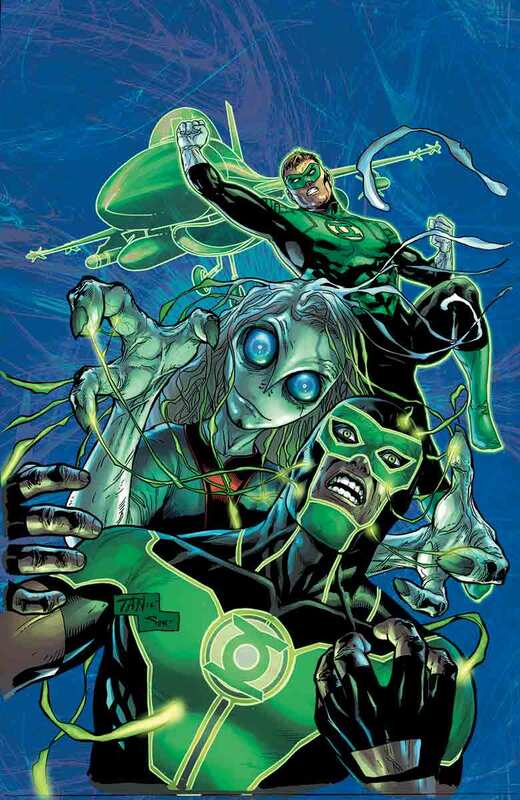 And will we learn more of new lanterns like two-six? ROBERT: Forming a council of advisors was one of the ways Hal has shown how much he has grown. He recognizes now that he can’t do it all himself. Who could? Just as important are the specific Lanterns he chose to be on the council. These aren’t yes-men—they’re individuals who aren’t afraid to speak their mind. Hal is inviting them to challenge him. That’s a huge step forward for a guy like him. As for new Lanterns like Two-Six, yes, there are plenty of stories to be told there. Lantern Gorin-Sunn is a key part of the “Uprising” story, for example. There’ll be more of that in the future. COMICSREFUELED: Speaking of new lanterns, how did you come up with the concepts and the personality of these new lanterns? How were you inspired? ROBERT: It’s a great question. Mostly it comes down to looking at what’s already been done, and trying to pinpoint what hasn’t. Gorin-Sunn is an example of that. Trying to fill in those gaps is one of the most enjoyable parts about writing Green Lantern. COMICSREFUELED: Now that Hal leads the Green Lantern Corps. Is he no longer part of the Justice League? Will he return? ROBERT: Hal isn’t currently an active member of the Justice League, but the door is always open for his return. He’s left Simon Baz in charge during his absence, though, so Earth still has a Green Lantern protector. COMICSREFUELED: We see that St. Walker is still on a path to defining himself, what is his fate and the future of the Blue Lantern Corps? ROBERT: Saint Walker is one of my absolute favorite characters in all of the Green Lantern mythology. There are definitely plans for him and the Blue Lanterns, but what those plans are, it’s too early to say. COMICSREFUELED: This is all so great and we can’t wait what is in store for Hal but Let’s talk Green Lantern Corps. Van, you have brought Sodam Yat back into this new 52 mythos, How will he factor into the Lanterns, will he be an ally? 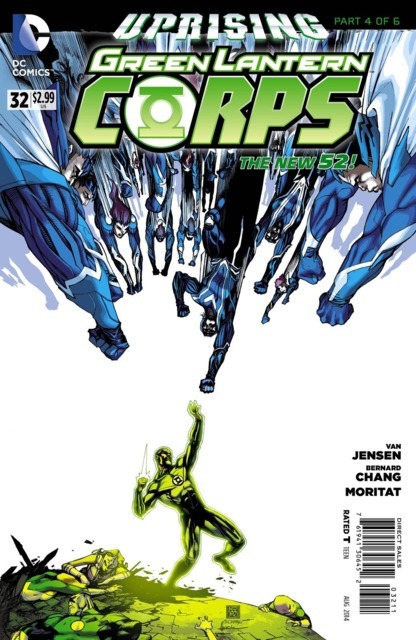 VAN: Sodam is going to be a major focus of Green Lantern Corps #32, and that issue will really shape his future. Sodam is back in the New 52, yes, but his ring remains missing. He’ll need that if he’s to rejoin the Corps. COMICSREFUELED: Will we being seeing an expansion on new members such as we have seen with Lantern Gorin-Sunn? 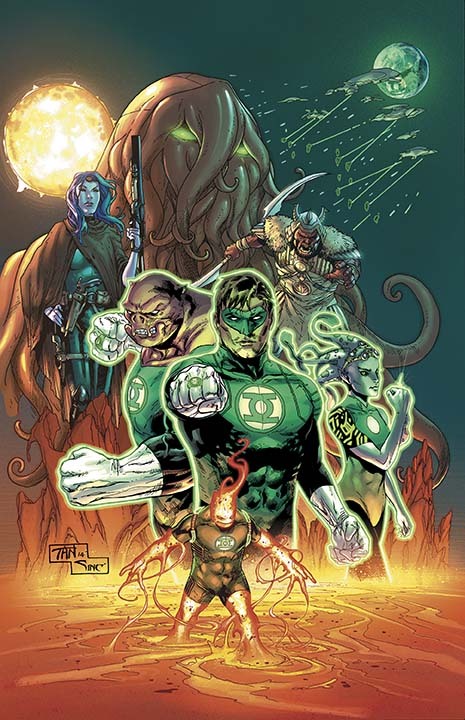 VAN: There aren’t any plans to introduce new Lanterns any time soon, but we’ll continue to learn more about some of the recent recruits like Jruk, Feska and Two-six. COMICSREFUELED: Who is your favorite Lantern to write? VAN: It’s tough to beat John Stewart. 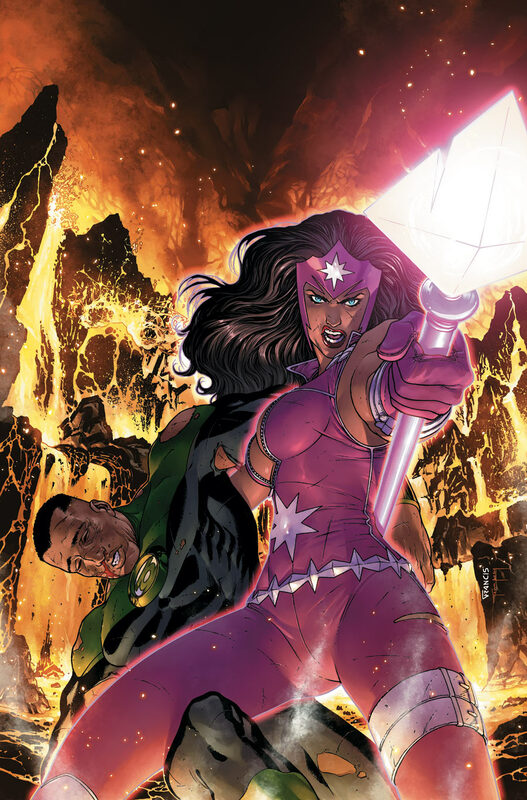 COMICSREFUELED: What kind of effect will Jessica Cruz aka Power Ring have on the Corps? Will she appear in the series? 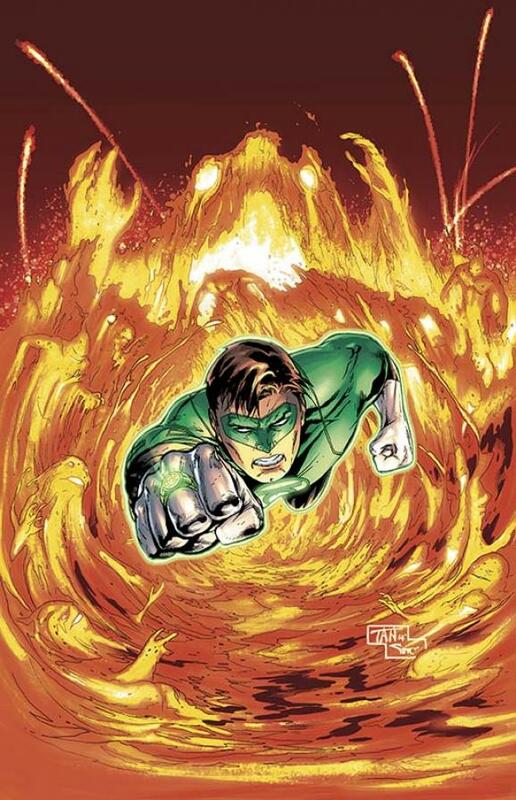 VAN: Power Ring isn’t a Green Lantern ring, so whoever wields it wouldn’t be a member of the Corps. But that doesn’t mean they can’t run into members of the Corps. Is that a cryptic enough answer? COMICSREFUELED: You both were writing this series, How does the writing process work? Is it difficult? VAN: As I was coming into the series, Rob co-plotted it at the start, which was a huge help because I hadn’t written single-issue comics before. The process was pretty simple. We would talk through story lines on the front end, and then I would do the scripting. We continue to work closely, as Green Lantern and Green Lantern Corps occupy a lot of the same space, and the books need to line up with each other. ROBERT: Van and I have known each other for a long time, so it was just a couple of friends talking about comics together. Except we were getting paid to do it, which is always nice. COMICSREFUELED: John Stewart is a natural born leader and we know he has bump heads with Hal before, could there be a division with the Corps? VAN: Hal and John are both leaders, they’re just very different types of leaders. And, naturally, they have some differing views on how the Corps should be run. That tension flared up last year, and they’ve been able to find a solid working relationship since then. Will that continue? We’ll just have to wait to see. ROBERT: Hal is a fighter pilot by trade, trained to act on instinct. John is a former sniper, which is all about patience and planning. I don’t know that two people could be more different in their approaches to conflict resolution. But that’s what makes them so much fun to play off each other. COMICSREFUELED: Finally, Simon Baz has been missing, Will he come back as a focus in either series? VAN: We’ll be seeing Simon very soon. ROBERT: In Green Lantern #34, in fact! Beyond that, Simon is now the sole Green Lantern protector of Earth, so he’ll continue to be a key part of the DC Universe as a whole. Alright guys! You heard it here! Robert and Van on the world of Green Lantern and Green Lantern Corps. Space has never been safer. Follow the amazing writers on their perspective books. Don’t forget to come back tomorrow! For part two of their interview in which we talk about The Flash.